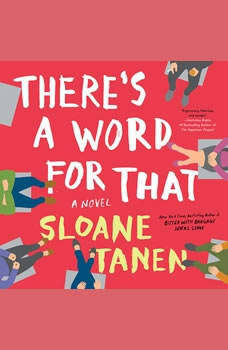 "Engrossing, hilarious, and tender... I couldn't put it down." ---Gretchen Rubin, #1 New York Times bestselling author of The Happiness ProjectA hilarious and moving chronicle of a wildly flawed family that comes together--in rehab, of all places--even as each member is on the verge of falling apart Introducing the Kesslers: Marty, a retired LA film producer whose self-worth has been eroded by age and a late-in-life passion for opioids; his daughter Janine, former child star suffering the aftereffects of a life in the public eye; and granddaughter Hailey, the "less-than" twin sister, whose inferiority complex takes a most unexpected turn. Nearly six thousand miles away, in London, celebrated author Bunny Small, Marty's long-forgotten first wife, has her own problems: a "preposterous" case of writer's block, a monstrous drinking habit, and a son who has fled halfway around the world to escape her. When Marty's pill-popping gets out of hand and Bunny's boozing reaches crisis proportions, a perfect storm of dysfunction brings them all together at Directions, Malibu's most exclusive and absurd rehab center.But for all their failings, the members of this estranged--and strange--family love each other. Rich with warmth, humor, and deep insight, There's a Word for That is a comic ode to surviving the people closest to us, navigating the perils of success, and taking one last look in the rearview mirror before mapping out the road ahead.